Frank was born San Francisco, CA. In 1976 Frank attended Berklee College of Music, studying woodwinds with Joseph Viola, Joe Allard, Steve Grossman and composition with Herb Pomeroy, Phil Wilson, and Greg Hopkins. 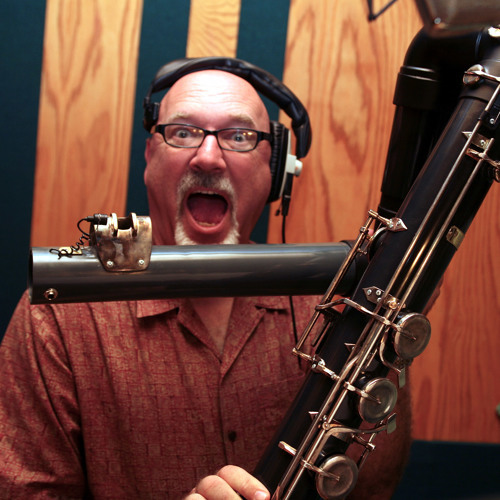 He received a National Endowment Grant for the Arts in 1980 to compose a 90 minute suite for large ensemble.&nbsp; After graduating with a degree in composition, Frank taught at Berklee, as well as performed with his 8-piece fusion group, 'Booga-Booga'. In 1981 Frank moved back to San Francisco where he worked as a musician and composer over the next ten years.&nbsp; In 1991 Frank toured Germany performing in productions of West Side Story and 42nd Street, and then moved to Los Angeles. Since 1992 he has worked as a composer/orchestrator on many films and television projects, including Superman Returns, The Fantastic Four, X2-Xmen United, Men of Honor, I Am Number Four, Austin Powers:Goldmember, Santa Clause 2, and television shows Night Visions, Nickelodeon's Oh Yeah Cartoons, Disney's Oliver Twist, and the Tonight Show. From 1997-2001 he created a series of five original audio horror stories CDs entitled "Little Evil Things". In 2003 he completed the jazz/world CD "The Galapagos Suite". His next CD, "Animals" was released in 2004, and "Mo' Animals" in 2006, featuring Frank on multi-woodwinds and a roster of some of Los Angeles best musicians, including Billy Childs, Vinnie Colaiuta, Dave Carpenter, Grant Geissman, Howard Levy, Bruce Fowler, Wayne Bergeron and Mark Isham. His 2007 CD, "Emotions" featuring the Prague Orchestra and Frank on tenor sax, received a GRAMMY nomination for Best Instrumental Arrangement and was followed by another CD with the Prague Orchestra, "Landscapes", also nominated for a GRAMMY in 2008.&nbsp; In 2009 Frank released Saxolollapalooza, featuring saxophonists Eric Marienthal, Sal Lozano, Bob Sheppard, Gene Cipriano, Jay Mason and Peter Erskine on drums. In Jan. 2010 Frank's CD "Folk Songs for Jazzers" was released. It received a GRAMMY nomination for 2010. Following that were the CDs "SON of Folk Songs for Jazzers", "Swamp Thang", "Fried Zombie Stew", and "Grease Mechanix". They are all available now, at his website, www.frankmacchia.net. You can also find Frank's music on iTunes, Amazon.com and CDBaby.com. His latest album is Rhythm Kaleidoscope, released Nov. 13, 2018 where he created music around drummer Brock Avery's wild and imaginative improvised drum solos. He lives in Burbank, CA with his wife Tracy and son Charlie.